One of the most common questions we get from our customers is what they can do to help their grass revive sooner and stronger when spring arrives. The truth is that for greener grass in the spring, you need to start now in the fall with fertilization. The right fertilizer put on your grass in the fall can feed the roots over the long winter season and help the grass come back stronger in the winter. In the fall, our team recommends applying a high-potassium fertilizer. This is best to help feed the roots and create greener grass when the weather warms up. We also recommend aerating your lawn in the fall before a fertilizer application so it can penetrate deep into your lawn. We also like to apply a weed control compound so you don’t have to battle weeds in your yard when spring arrives. Of course, during other seasons, there are other fertilization methods and formulas we prefer. 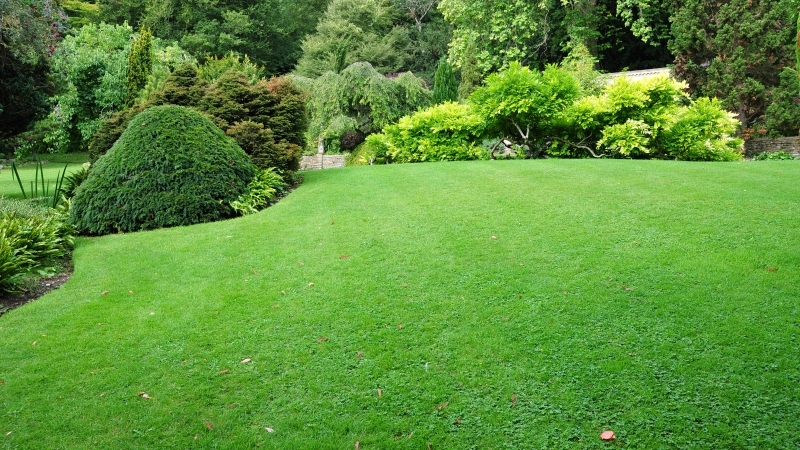 Our lawn care team in Grand Rapids can find the right routine and formulas for your grass! While good grass in the springtime starts in the fall, the best grass comes from year-round care. That’s what our lawn care team can provide for your yard! We offer lawn care in the spring, summer, fall, and winter that creates a low maintenance, highly enjoyable space for you and your family. Let our team get to work on your lawn today and show you what we can do. Call us today to learn more about our services and get a free quote on the lawn care services that you need!